Collect your department or project team and head to the waterfront for a unique boating experience with Classic Harbor Line and Harpoon Brewery and book your Boston private boat party. 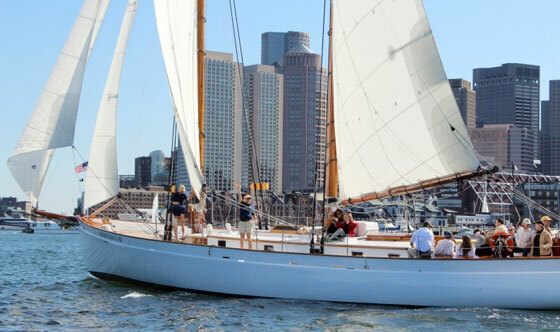 Design a beer tasting event aboard one of our classically styled yachts with a Beer Captains from Harpoon Brewery. Crew and Beer captains will be around to serve you 5 different types of beers. Our brewery representative will explain the different styles of beers tasted and the history behind each. Add on an assortment of cheeses to taste and other small bites. 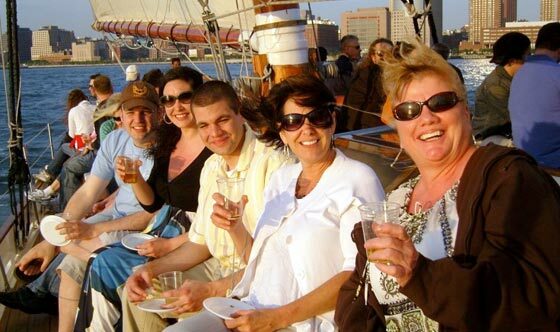 Enjoy a private yacht charter with your team in Boston Harbor and do this fun and interactive event. Or dazzle your guests with a private boat party for your milestone Birthday with this unique activity. The Schooner Adirondack III can host up to 41 guests for a more intimate experience, while the yacht Northern Lights can accommodate up to 130 for larger companies. So step aboard and cruise Boston Harbor in a completely new way by enjoying a Boston private boat party with a beer tasting event! Choose the schooner Adirondack III and create a private Sails and Ales outing for your sales team. Try a variety of beers from Harpoon Brewery and raise a toast to meeting your sales quota! Tailor your tasting to your favorite beers and try new styles. With Harpoon Beer Captains aboard and steadfast crew we depart to tour Boston Harbor and drink some fine New England brews! Grab your office mates and head to the waterfront for a relaxing evening on the water with our merry crew. Take in the beautiful skyline of Boston and enjoy the floral notes of New England’s best beers. Classic Harbor Line and Harpoon Brewery Captains know how to get you and your team to relax and have a great time on the water.